Audio (midi) of 2 duet for 2 ukuleles. Regular Tempo. This piece was brought to my attention by a student who had learned it on the piano. It is the first piece in a collection called the Album for the Young (Album für die Jugend), Op. 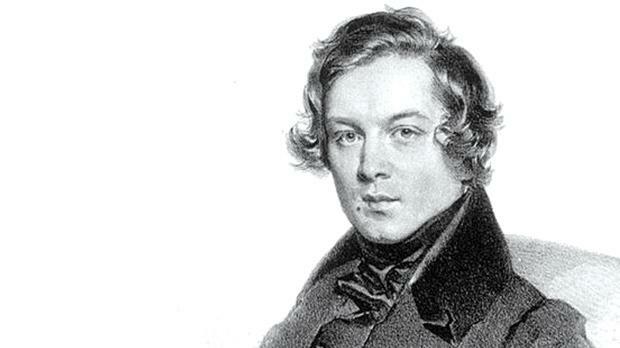 68, composed by Robert Schumann composed in 1848 for his three daughters. It is intended as a piano solo for learning, and it serves the same purpose on the ukulele. It is originally in the key of C major, which is perfect for the ukulele. No transposition necessary. We can get comfortable in a few positions around the neck. All I’ve done to turn it into a duet for 2 ukuleles is to assign the part of each hand to separate ukuleles. It’s delightful and I hope you’ll find someone to play it with. There are some audio files on the page at two different tempos to help you practise it. By the way, this piece has featured in our Daytime Ensemble Repertoire last year. If you enjoy playing this, and are in the Ottawa area, consider joining our Ukulele Ensemble! Audio (midi) of 2 duet for 2 ukuleles. Slow Tempo.